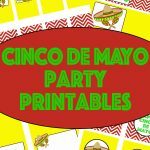 Cinco de Mayo’s history is based on the celebration of the Mexican army’s victory over the French at the Battle of Puebla on May 5th, 1862. 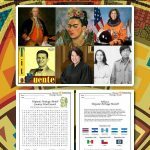 Today it is still celebrated in the State of Puebla in Mexico, but has become a more significant holiday in the United States as a way to celebrate Mexican heritage and pride. 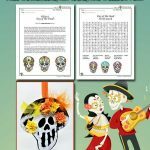 These Cinco de Mayo coloring pages are a fun way to learn about history, whether in the classroom or in the home. Of course, there’s nothing to stop you from getting more elaborate with your Cinco de Mayo celebration. It’s the perfect day to enjoy some of your favorite Mexican dishes and maybe listen to some mariachi music, too. 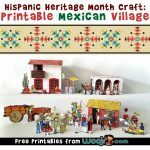 The United States is considered the Great Melting Pot of cultures, so this is also a great way to take a look at what other types of influences Mexican culture has had on the U.S. For example, did you know that the poinsettia flowers that have become so iconic at Christmastime originally came from Mexico? Perhaps even more importantly, Mexico is the birthplace of chocolate! Can you imagine a world where chocolate didn’t exist? Interestingly, chocolate’s biggest rival–vanilla–was also first cultivated in Mexico. While we’re on the subject of sweets, it turns out that chewing gum also originated in this diverse nation. Happy Cinco de Mayo, or Happy May 5th! A neat little fact is that Cinco de Mayo isn’t celebrated nationwide in Mexico, but it is celebrated around the world in other countries as a celebration of Mexican heritage and pride. Animals get in on the celebration, too! The chihuahua is one of the national animals of Mexico along with the golden eagle. 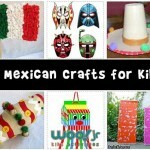 And animal piñatas are a great way to have some fun! 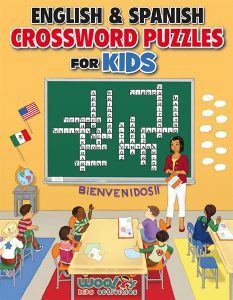 You might also like our latest bilingual kid’s activity book, English and Spanish Crossword Puzzles for Kids!